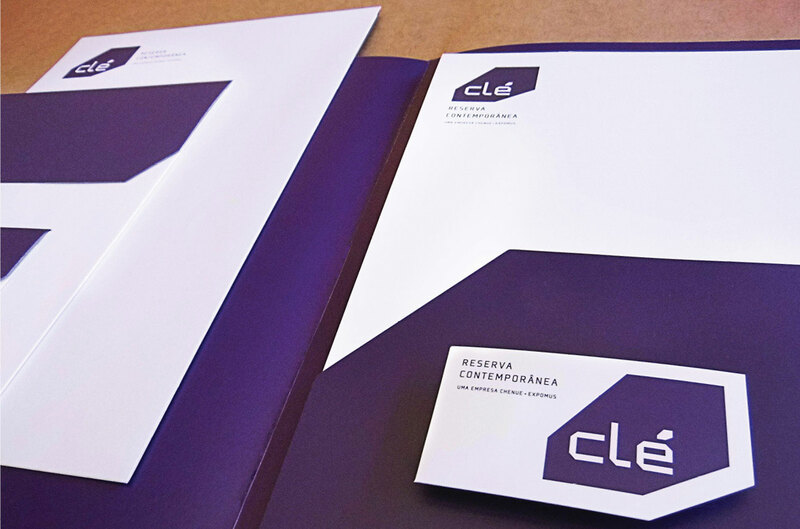 Clé was born as the first contemporary art reserve in Brazil. It was the result of the union between two market references – Chenue (France) and Expomus (Brazil) – with a new concept in collection management. The brand reflects its essence and its positioning. It combines strength, security, and technology with refinement and expertise. It works as a quality “stamp”. Its angles and cuts expand to build a language full of personality, capable of creating a visual harmony among all its communication aspects.